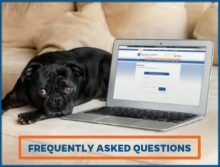 RVetLink is your online portal to access patient records from TrueCare for pets. You might not be listed in our operating system as the patient’s RDVM. If that’s the case, your client can simply call us to add your name to their pet’s file. Please note, patient records are available 12 months retroactively from current date via the rVetLink portal.